NZ Model United Nations is the premier Model UN event on UN Youth’s calendar, offering four days of thrilling debate, engaging guest speakers and a whole host of other events guaranteed to prove educational, exciting and, most importantly, fun. 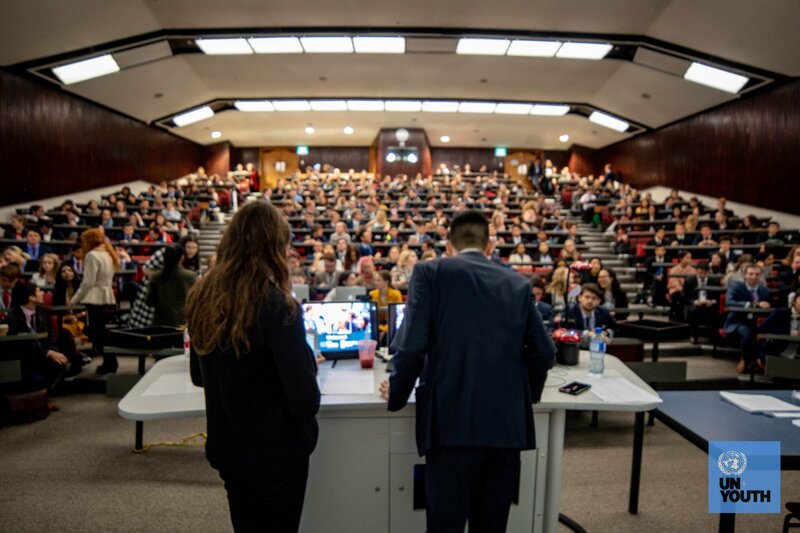 Hosted at Victoria University in the heart of Wellington, NZ Model United Nations offers secondary school students the chance to interact with 260 other like-minded individuals on an equal playing field and to experience a little bit of life as a diplomat. NZ Model United Nations is a life-changing experience, giving everyone the chance to learn about the world around them while discussing relevant and serious topics in realistic and fast-paced committee sessions. Please download the the NZMUN19 Committee Application Pack for more information and to apply below! Coordinator applications are now closed. Passion: Someone with a genuine interest youth development and global affairs. Communication: The Coordinator will be involved in liaising with a large number of stakeholders. Organisational Skills: Someone with the ability to organise a complex event over an extended timeframe and involving hundreds participants. Furthermore, it would be extremely beneficial to have UN Youth experience, in terms of having attended or volunteered for UN Youth events in the past. You must be no longer attending secondary school and no older than 25 years old. Organising a four-day conference for over 260 secondary students (as well as over 60 conference assistants) is no small task. This role is a very unique and significant undertaking that will test the limits of what you’re capable of – perfect for someone looking to extend or challenge themselves. Please note for the Police Check Form you just need to fill in the required sections and upload them and we will submit them for you!